Quinoa is a delicious and healthy superfood loaded with nutrition. Chourico is definitely a superfood in my opinion, but not really healthy if you know what I mean. We are going to show you how to make a wonderful Chourico and Quinoa Salad. Combining the two in a delicious salad along with some avocado and tomatoes makes for a super tasty and flavorful hearty meal, which you will surely enjoy! 1) Slice the avocado into medium sized slices and the grape tomatoes into halves. Set them in a separate bowl aside with the chopped parsley. 2) Place the quinoa in a saucepan along with a tablespoon of olive oil and cook it on medium heat for about 12-15 minutes or until done. 3) As it is cooking place the sliced chourico on a skillet with the rest of the olive oil and let it cook on low heat until the quinoa is done. 4) Once the quinoa is done, place the finished quinoa in the saucepan onto the skillet. 5) Flash fry the quinoa and chourico in the skillet on high heat for about 5 minutes until the chourico has browned. 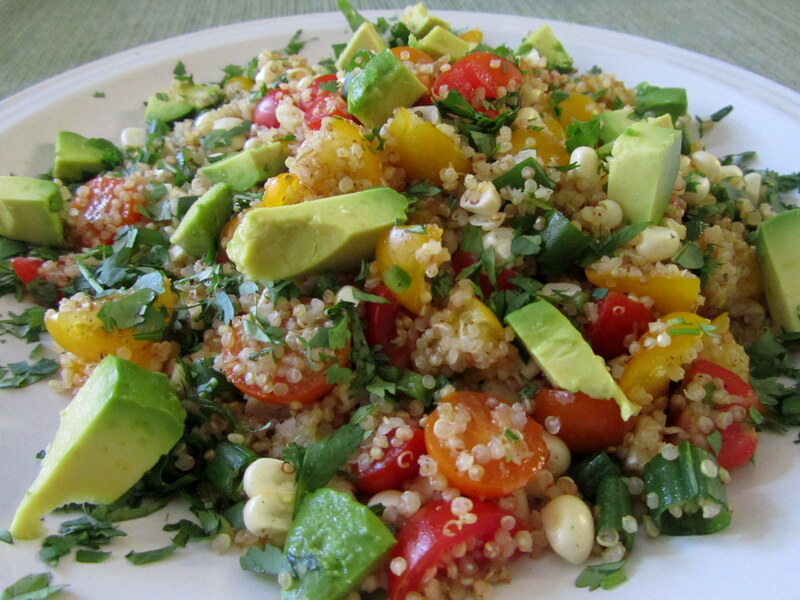 5) Once done place the chourico and quinoa into the bowl you placed aside with the tomatoes, avocado, and parsley and quickly toss them together in a bowl for serving. 6) Add salt and pepper to taste along with 2 drops of lemon juice for extra flavor.